At least 8Gb of memory, more if you are planning to load 100+ individuals cohort files. 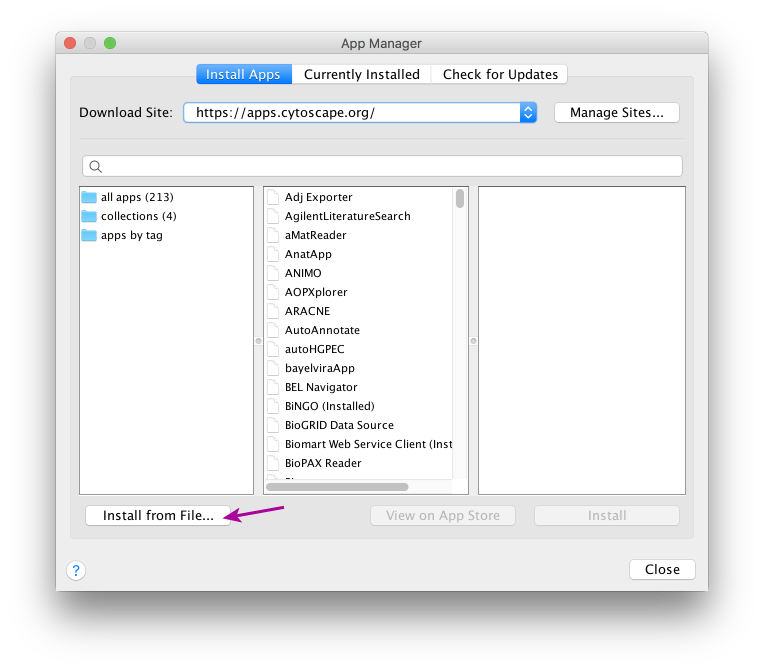 In Cytoscape, go to Apps -> App Manager…; then click on the Install from file… button, then chose the Gravity-impl-2.0.0.jar file you downloaded at the previous step. go to the CytoscapeConfiguration directory in your home directory and delete all the props files with names starting with Gravity.